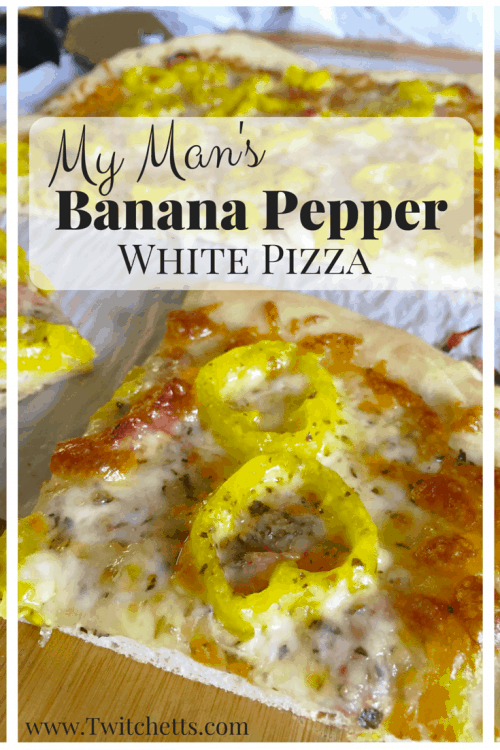 We make homemade pizzas on a regular basis… A while back I shared with you the secret to no flop pizza crust and I promised I would share my man’s white banana pepper pizza with you! 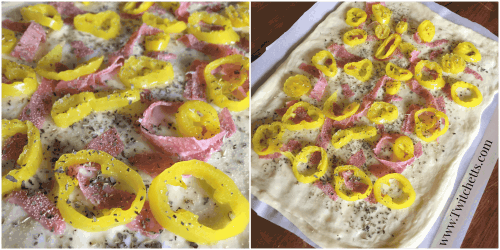 Well, the garden has been full of banana peppers so it was time to come up with a great banana pepper recipe to use them all up! 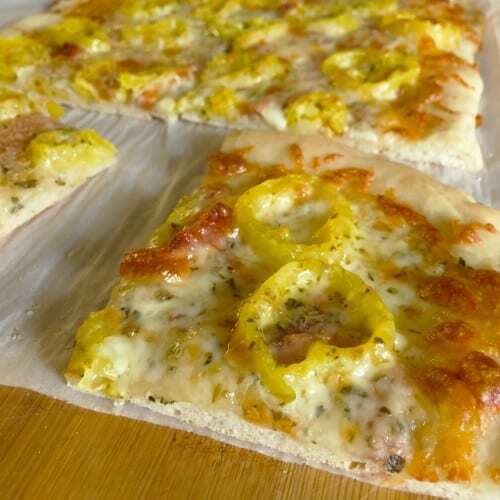 So I watched and took notes so I could share with you My Man’s Banana Pepper Pizza recipe. Perhaps the best part of making homemade pizza is you can each make your own! 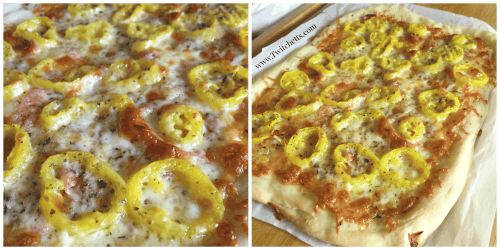 The kids can have their cheese and pepperoni and you can have a delicious, slightly spicy, banana pepper pizza all to yourself! The way My Man cooks is usually very unmeasured, but always good. I have snagged a few of his recipes for you so far. Like his baked wings & buffalo sauce. Those have been a big hit and I know this one will be as well. This is one of those crave-able pizzas when you want it, you want it! 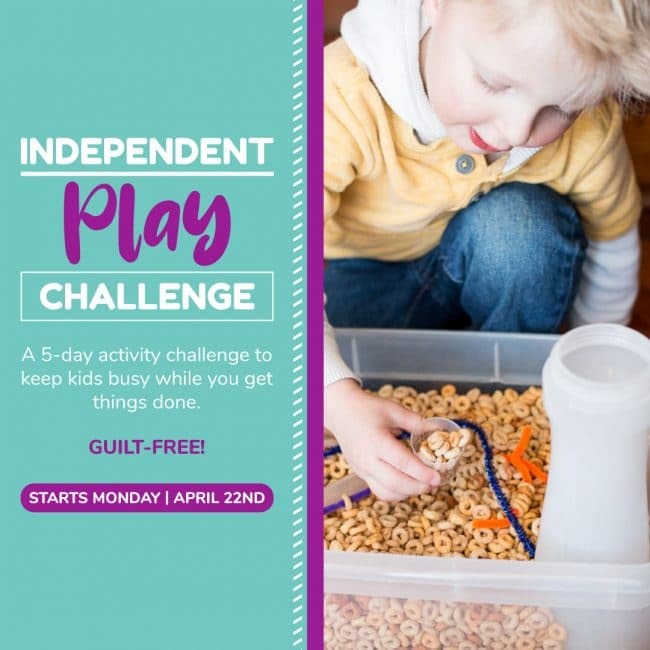 Lucky for you it’s super easy to make! 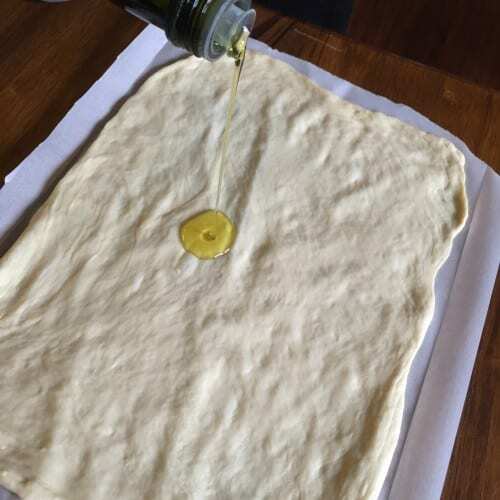 Stretch out your dough and add about a teaspoon of Olive Oil and rub on the crust. Avoid the edges just like you would with sauce. Make sure to pat dry your Banana Peppers. This is very important! Add the Peppers, Salami, Italian Seasoning, & Garlic Powder. 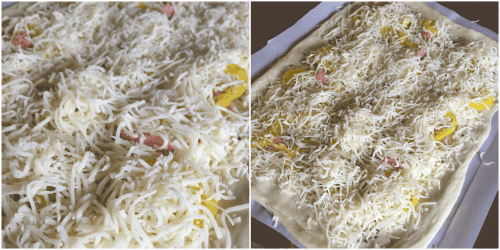 Then Cheese on top. Bake for 12-15 mins at 425 degrees. And Enjoy!! Now this pizza has a little kick, but that is why I like it! The peppers and salami give it such a great tasting heat. Don’t forget to check out the Secret to a No-Flop Crust here for your Perfect Pizza! !